Looking down from this elevated spot just outside the limits of the City of London; one cannot ignore the sense of history that permeates the immediate area. The brooding medieval presence of the Tower of London is inescapable and the hill itself has a grim past as it served as an execution site for several centuries. 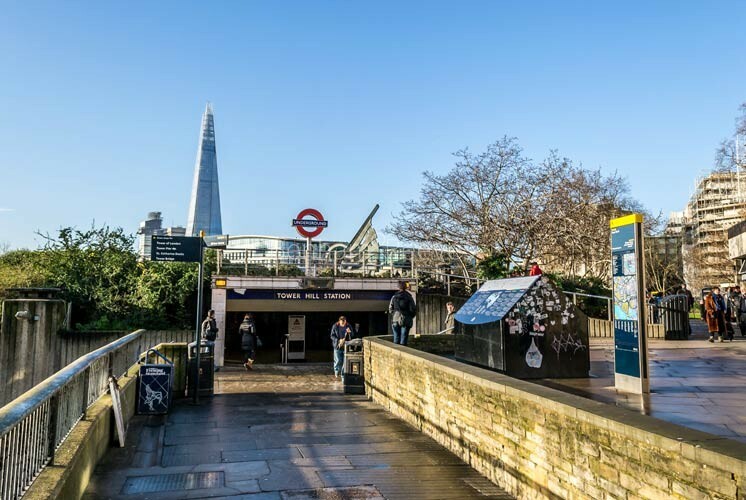 However, time and progress march on and the modern day financial hub which now envelopes the area has seen Tower Hill annexed by the ultra modern steel and glass structures of its immediate neighbour. High rise apartment space is the order of the day with the City Quay residential development providing more than 200 luxury apartments overlooking the marina of St Katherine Docks. 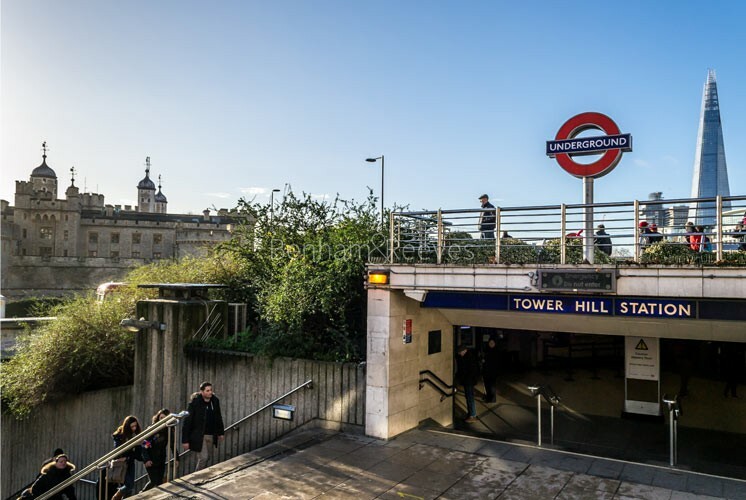 Tower Hill is served by Circle & District lines. Tower Gataway - for DLR, Docklands Light Railway for travels to Canary Wharf, Docklands and the City Airport. The nearby Tower Millennium Pier is located on the other side of the instantly recognizable Tower Bridge and provides the main commuter river boat services.